“How can I be a better writer?” is a favourite question of students, as is the more concerning complaint, “But no-one’s taught me how to write”. Let’s start with the basics. You can learn to write. You can learn style. You can learn precision. Anyone who tells you different is wrong. But here’s the thing; it’s all about you. You have to want to learn and you have to put lessons into practice. There isn’t a magic spell that will make you a better writer. Few people are natural, born writers. It is practice and the observance of a few rules. There’s lots of web-based advice on how to be a novelist, or a journalist, or a copywriter, or any of the many professions where writing is a core skill. But for this, I’m going to assume that you just want tips on how to express yourself more clearly. Write. It’s a cliché but the first step to being a better writer is to practise. Start writing. Write a blog or a diary or, if you’re one of my students, do your assignments. Malcolm Gladwell told us that if you spend 10,000 hours doing anything you’ll become a world-class expert. How many hours have you spent writing? How much practice are you really getting? Write something every day and you will get better. Read. There’s no way to become a better writer unless you can recognise good writing. Read everything. Read classic literature, modern literature, biography, history and politics. Read newspapers. Read the internet, although perhaps not all at once. Draw inspiration from everything you read. Love language and when you find a writer whose style you like, read everything they’ve ever published. In this excellent video the BBC’s Alan Little recommends reading poetry too. I’ve always thought life too short for poetry but if it works for you, go for it. Learn to proof-read. When I worked for ITN and The Times I was often sent CVs by hopeful young journalists. I was amazed by the grammar and spelling errors in them. How could anyone who wanted to work in journalism make such simple and off-putting errors on an important document? The answer is proof-reading, or rather the lack of it. When you’ve completed a first draft, print it out and read it back to yourself. Out loud. Use a book to cover the next line of text so your eye doesn’t wander. Then cross out all the mistakes. Recast sentences that are unwieldy. Look at each sentence and remove every word you can without altering the meaning of the sentence. Most of us begin typing before we’ve really thought about what we want to say, when you’ve worked it out, rewrite the sentence. After reading all those badly written CVs I checked my own. Naturally, I found errors. We all need to proof. Learn the basics of grammar. If you were employing a bricklayer and they told you they didn’t know how to mix mortar, would you hire them? People who want to write have to know the basics of grammar. If you don’t know the difference between its and it’s, or when to use which or that, or the difference between “let’s eat Grandma” and “let’s eat, Grandma”, find out. People are often afraid of grammar, fearing it’s full of pedantic rules they won’t understand. It isn’t. There are plenty of pedants; the type of people who insist you can’t split an infinitive. They’re wrong and those who say “to boldly go” should become “to go boldly” have an empty space where their souls should be. Don’t fear them; it’s just about ensuring your meaning is clear. There are some excellent and readable books that can help. Eats, shoots and leaves by Lynne Truss, Essential English for journalists by Harold Evans, and the classic Elements of style by Strunk & White are all short and informative. And while you’re thinking about grammar also think about clichés. Avoid them like the plague. Especially if they’re as old as the hills. Try and find fresh ways to get your meaning across to the reader rather than relying on the stale thoughts of other people. John Rentoul’s The banned list and Rob Hutton’s Romps, tots and boffins will help you avoid the worst examples. Find a mentor. I didn’t learn to write at school or university. I didn’t learn to write as a regional journalist. I learnt to write between six and eight in the morning, weekdays, in the early part of the noughties. I was working as a journalist at ITN and every morning I would pick up the overnight scripts written for John Suchet’s programme on the ITV News Channel. Every day I would rewrite them. And every day John would come in and tell me, with great enthusiasm and razor sharp analysis, exactly what was wrong with them. After a couple of years I thought if I got one or two past him each day without his rewriting from scratch, I’d done well. Now, not everyone can have a great TV writer dismantling their style and putting it back together again. But there are plenty of places to seek advice. Read George Orwell’s classic essay Politics and the English language. His six rules are still the basis of good style. The Telegraph’s Tom Chivers disagrees, particularly about the relative importance of active and passive voices (“The athlete threw the ball” vs “The ball was thrown by the athlete”). That’s fine. But Tom is a better writer than you and me, so he can do as he likes. You should write in the active voice. Or there’s Neil Gaiman’s eight rules of writing, or Elmore Leonard’s ten rules of writing, or Kurt Vonnegut’s eight rules for writing. You get the picture. And, as there’s no idea that hasn’t already been done better by Buzzfeed, look here for more advice from writers. One final thought: be interested and be interesting. 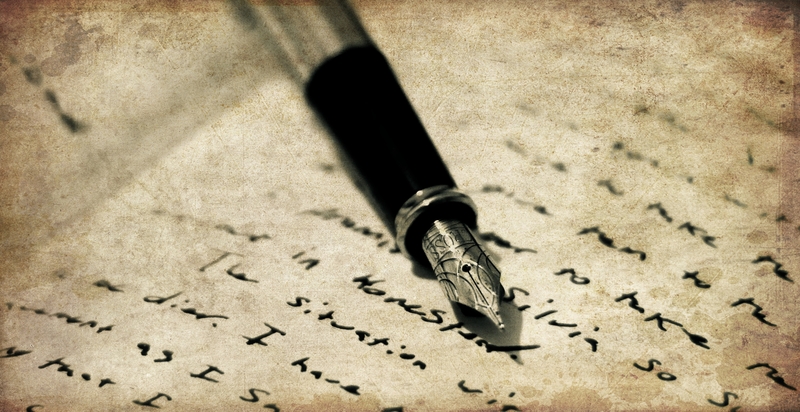 Readers will forgive any number of errors, provided what you’ve written speaks to them. So, have something to say and say it well.